learn how to recover data from a deleted partition. 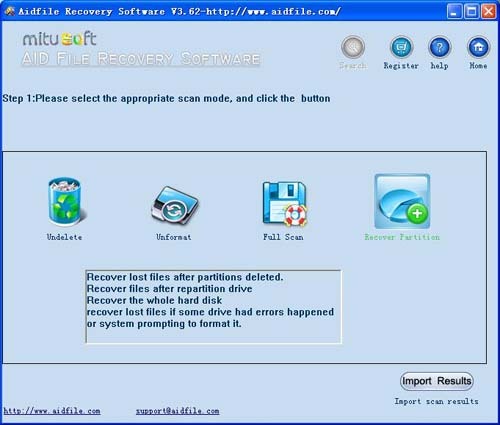 Recover data from deleted partition, powerful data recovery tool help you recover data from deleted partition .Please download and free trial. Use "Full Scan" mode to recover data from deleted partition if lost files can not be found with "recover partition"With deep and full scan lost data from deleted partition. Support Windows XP, Windows 7, Windows 8, Windows Vista, Windows 2003, 2008, 2012. Support 32 bits, 64 bits. Support external hard drive, hard disk, usb flash drive, sd card, cf card, zip, etc. Support WD, Samsung, Sandisk, Toshiba, Seagate, HP, Lenovo, Maxtor,etc. Recover data from deleted partition. 1. 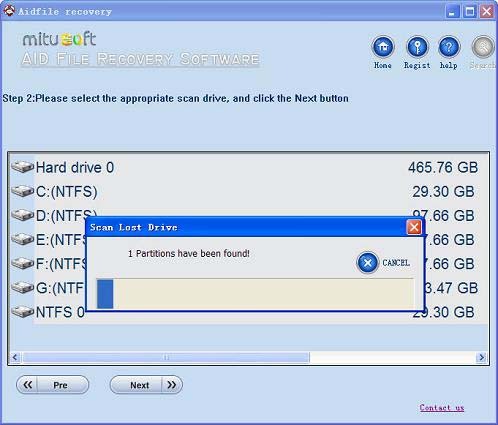 Select the "Recover Partition " or "Full Scan". 2. Find the partitions of the selected hard drive. 3. Select the partitions of the hard drive, then click the "NEXT" button.